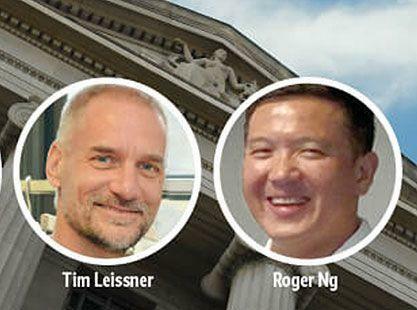 Two days after reports that Goldman was lawyering up as the 1MDB scandal explodes and implicates bankers ever higher in the bank's org chart, with Goldman reportedly hiring the former deputy attorney general who was once the boss of the DOJ's head of criminal investigations, it appears that not all Goldman bankers are looking forward to appearing in court. According to Bloomberg, a former Goldman banker linked to the scandal-plagued Malaysian state investment company 1MDB, is fighting extradition to the U.S., where he would face charges of money laundering and bribery. Roger Ng was arrested last week in Malaysia at the request of American authorities, after which he filed an application to review the U.S. detention and extradition order. Separately, Ng and his family have agreed to surrender about S$40 million ($29 million) to authorities in neighboring Singapore, which would then repatriate the funds to Malaysia, Bloomberg sources said. Goldman, which has for years been under scrutiny over its role in raising $6.5 billion for 1Malaysia Development and for the massive fees it earned from three bond deals, has seen its involvement scrutinized in recent days after the DOJ filed the first round of criminal charges related to 1MDB, and after it emerged that under a "mystery" top-ranked Goldman executive was involved in the $4.5 billion fraud. As has been extensively documented in recent years, 1MDB has been at the center of a global scandal involving claims of embezzlement and money laundering by the former regime, which have triggered investigations in the U.S., Singapore, Switzerland and beyond and helped drive Malaysia’s former leader from power. As Bloomberg reports, Ng is one of at least three current and former Goldman bankers implicated by the U.S. Department of Justice as having taken part in or having knowledge of what the DOJ calls a multiyear criminal enterprise. He was a deputy to Tim Leissner, Goldman’s former chairman of Southeast Asia, who has confessed to bribery and money laundering related to 1MDB. Ng's efforts may be in vain however, with the Malay Mail reporting last week that Malaysia plans to extradite Ng to the U.S., citing Amar Singh, commissioner at the police’s commercial crimes department. Earlier, the top Goldman banker in charge of the 1MDB relationship, Leissner, admitted in a plea that he bribed officials to get the bond deals, and that he and others arranged the fundraising as debt offerings because it would generate higher fees for Goldman. Leissner also admitted that more than $200 million in proceeds from 1MDB bonds flowed into accounts controlled by him and a relative. Separately, Bloomberg reports that the S$40 million that Ng and his family are surrendering is in Singapore, where authorities have frozen the money, the people said. “Assets seized by the Singapore authorities will be dealt with in accordance with the law," the country’s police force said in an emailed statement. “The Singapore authorities have been liaising with the relevant Malaysian authorities in relation to the assets seized pursuant to investigations into 1MDB-related fund flows." Meanwhile, in its latest attempt to wash its hands of the entire affair, Goldman has said it believed the money it was raising for 1MDB would be used for development projects, and has sought to portray any wrongdoing as acts by rogue ex-employees. On Wednesday, new CEO David Solomon said in a Bloomberg Television interview that he felt “horrible” about the role former employees played in the scandal surrounding 1MDB, and that Goldman is cooperating with authorities.